Nuraply 3P system is a tough, reinforced bituminous waterproofing membrane, of great strength, suitable for maintenance foot traffic and finished in any selected colour using Nuracolour coating system. The membrane layers are 3mm thick of APP bitumen with a heavy reinforcing layer of non-woven polyester inside. The first layer consists of 10m x 1m rolls of Nuraply 3PB (on plywood) or Nuraply 3PV (on concrete) which are laid by cold gluing with heat welded lap-joints or by direct torch-on application. The capsheet is torch-on applied to the base sheet to create a very robust, fully bonded membrane waterproofing system – ideal for flat roofs and decks protected with timber or tiles. New coats will be required during the life of the Nuraply 3P roof system. Depending on environmental factors and the quality of the roof maintenance programme the coating will need recoating between every 5 and 10 years. 1. Nuracolour: is available to match any colour requested but lighter colours must be used (RV > 40) to keep the roof system cooler. The most common colour choice is 9095-Grey. The inert dense Nuracolour surface of Nuraply 3P is suitable for the catchment of drinking water. 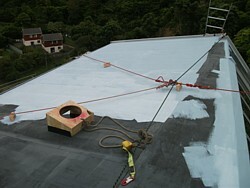 which protects the membrane while clearly delineating a slip resist pathway for people on the roof. 3. Nuracoat BAC: The traditional roof coating system for bitumen membranes – Nuracoat Bituminous Aluminum Coating (BAC) provides a highly reflective surface. 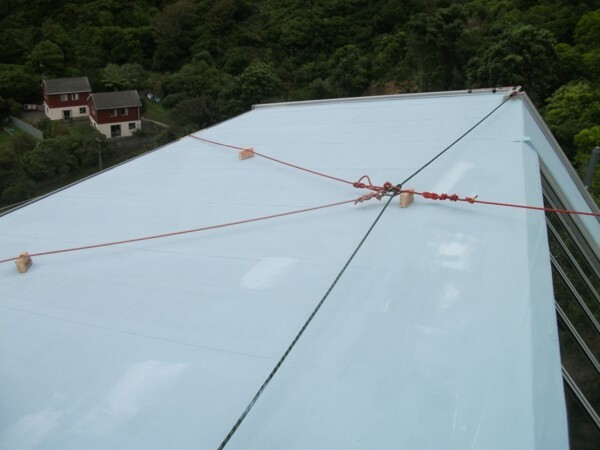 The membrane is manufactured by ATAB of Belgium but has been specifically refined for New Zealand conditions and distributed by Nuralite NZ Ltd.
Nuralite warrants Nuraply 3P and 3PM against material defects for 20 years from the date of installation. For this extended warranty to remain current the customer must maintain the roof and have it inspected every five years by the Nuralite applicator. Nuraply 3PM system is a tough, reinforced bituminous waterproofing membrane, of great strength, suitable for light maintenance foot traffic and finished in a choice of five standard shades of mineral chip. The first layer consists of 10m x 1m rolls of 3mm thick Nuraply 3PB which are laid by cold gluing with heat welded lapjoints or by direct torch-on application; 3PB SA self adhesive; or 3PV for venting concrete substrates or in membrane overlays. The cap sheet is 7.5 x 1m rolls of 4mm thick of APP bitumen with a heavy reinforcing layer of non-woven polyester inside topped off with embedded mineral chips. The mineral chip surface provides a natural look while providing UV protection. The membrane is manufactured by ATAB of Belgium (a divison of the IKO Group) and is distributed in New Zealand by Nuralite NZ Ltd. ATAB manufacture over 10 million square meters of membranes per annum. 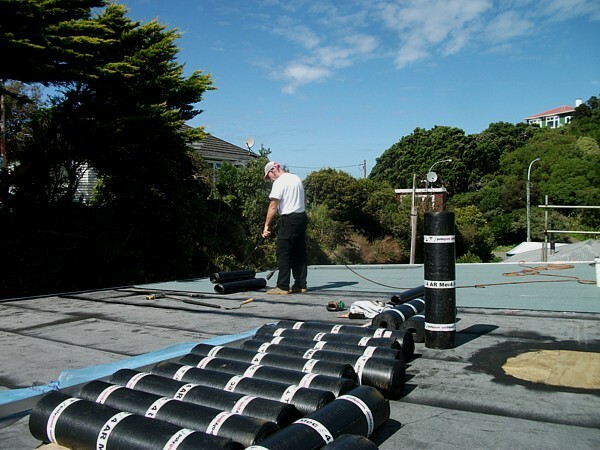 BRANZ have appraised the Nuraply 3PM system as suitable for flat roofs.